Welcome to Good News Christian Gifts! We specialize in story cubes, which make unique gifts. 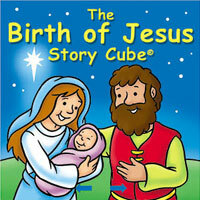 Our story cubes are a hands-on way for young children to engage with the two most important events in our Christian history—Jesus's birth and resurrection—as well as other treasured stories, such as Noah’s Ark. The stories are presented in a child-friendly, easy-to-read style - ideal for parents, grandparents, and even older brothers and sisters to share their faith and bond with the little ones. 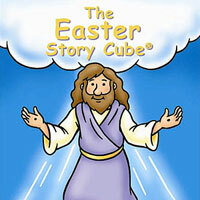 Our story cubes are perfect birthday, Christmas or Easter gifts. They are also ideal as a stocking stuffer, a quiet corner of your church, preschool or daycare, or for giving as gifts for your Sunday school and youth programs. Delight the children in your life with these interactive gifts today! ©2019 Copyright Good News Christian Gifts. All Rights Reserved.